MYSURU: Every second Saturday, the students of Vijaya Vittala School of Mysuru can skip into school, unburdened by their weighty school bags. It is also a special day in other ways: they have chess, yoga, short movies, memory games and many other refreshing activities. In a novel gesture, the school is following ‘No Bag Day’ on this day since July. With an overwhelming response from students, the school is now mulling introducing it twice a month from the next academic year. Seeing students carry a weight of 5-6kg on their shoulders every day, R Vasudev Bhat, secretary of Vijaya Vittala Educational Institutions, took the initiative to lessen their burden at least once a month. The initiative, implemented in July this year, got a good response from both students and parents. No Bag Day is applicable to all students studying from Class 1 to X. The school has classes from 9am to 3.30pm on a regular working day, and from 9am to 12.30pm on Saturdays. BakProtek is on the Shelf now! 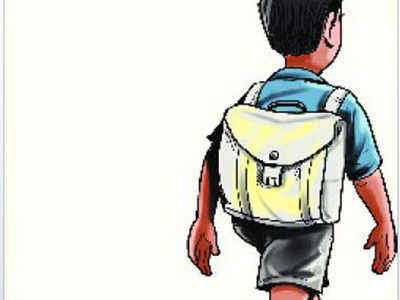 Weighty issue of school bags? Don't forget to email us your authroisation code once payment is successful. We will notify you within 24 hours.